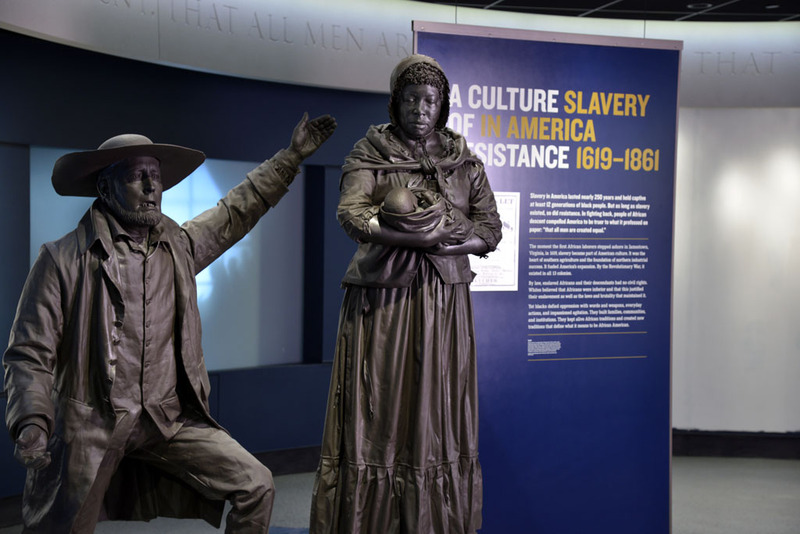 This exhibit offers a graphic representation of the global impact of slavery. 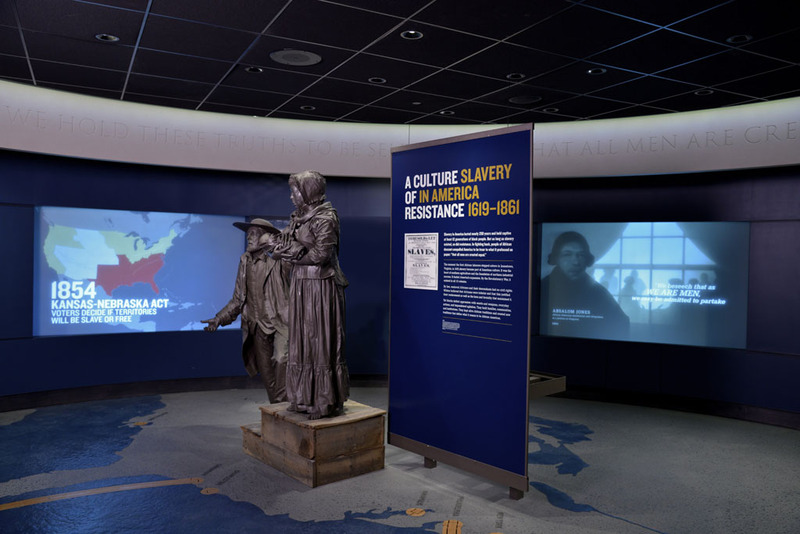 Entering the circular gallery, visitors walk on a floor map of North and South America, Europe and Africa. 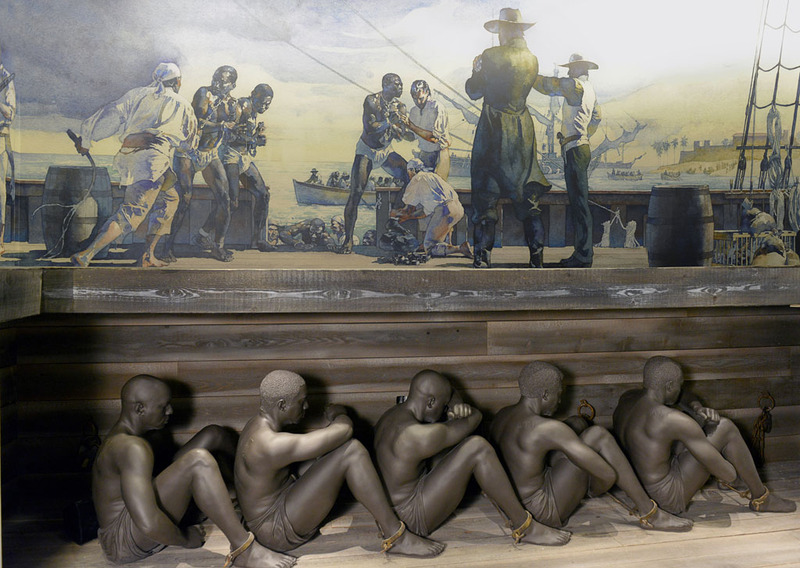 Illuminated channels provide statistics and information about the Atlantic slave trade, including the massive number of people captured, goods cultivated and wealth created.